Our expertise includes Audio/Visual Systems, Multi-room Audio, Home Theatre Design and Home Automation. 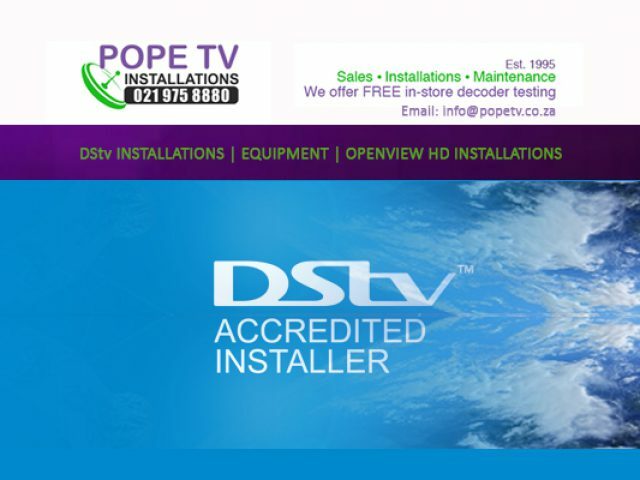 Get the best DSTV installation Bellville has to offer and struggle no more! If you have ever tried to install entertainment electronics, you know what a nightmare it can be! With electronics becoming more advanced each moment, it is difficult to stay on top of the latest advancements when it comes to entertainment. It is for this reason that most people nowadays rely on the services of the professional companies offering the best DSTV installation Bellville has to offer. The DSTV installation Bellville has available, is provided by some of the best television and satellite installation companies in the Northern Suburbs of Cape Town. These Multichoice accredited companies deliver prompt and professional services that include the installation of DStv satellite systems and home theatre systems from quality brands such as Samsung, LG and Sony. They do not only do installation, however, they are also able to repair home entertainment devices. So, if you are having issues with the installation of your home entertainment electronics, why not contact one of the advertisers below to help you! Own a business in Bellville?